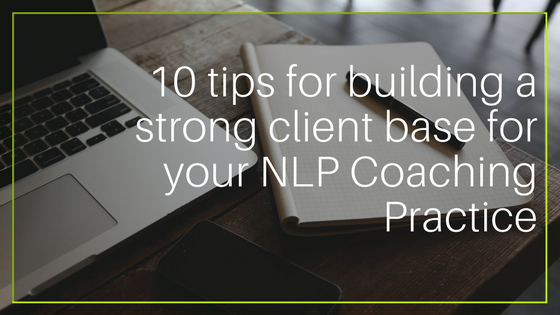 Now I’d like to talk about the other person in an NLP coaching practice (or any kind of coaching practice) …the client. Your client is the most important person in the relationship. Without them, you have no practice. So it stands to reason that you want to make sure they are in the right place, they have all the information they need, and they are fully committed to the relationship. The easiest and most effective way to do that is to get very clear on who your ideal client is. 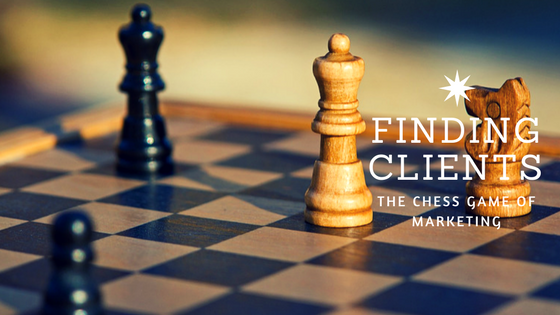 Now that you have gotten clear on what kind of coaching practice you want to have, and what kind of coach you want to be, you can think about who your ideal client will be. Understanding this will direct and streamline all of your marketing and public relations. It will help you understand what to tell people about, and how to approach them. It will allow your message to reach the people who need to hear it most. After all, if you are going to be helping women navigate the waters of menopause you don’t want to be sending your message out to 20 and 30 year old males. So, and this part will need your participation, grab the sheet of paper where you wrote down the answers to last week’s questions. You know, the ones about the kind of coach you want to be. Take a moment to review them, and remind yourself of the kind of practice you are working to build. Where do they hang out? If you wanted to go somewhere that your ideal clients are, where would that be? Online or in person? Do they gather in particular places, at specific times, or are they everywhere, going about their daily lives? Where do they get their information? This is an important one. Do they read the paper, hang out on social media sites, subscribe to magazines, get referrals from trusted friends? What are the sources they trust when it comes to getting information about companies and products? What are their challenges and frustrations? What do they stay up at night worried about? What keeps them from focusing at work during the day? What quiet thoughts nag at them that they just can’t quiet? What are their goals and priorities right now? What are they striving for? What are they envisioning for their future? What is their preferred form of communication? Do they like email or phone calls? Text messages or in person visits? What channels do they prefer you connect with them by? What phrases do they use a lot? What words are a part of their normal vocabulary? What language makes them feel comfortable? What words let you know that they are in the population you are looking for? What is their budget? Can they afford your services? If they can’t, can you lower your services, or should you find another solution? What does a day in their life look like? Really spend some time in this one. Work through the exercise “Walk in Another’s Shoes.” (If you want to learn more about this exercise, email me, I’ll share a bit about it) Notice the nuances of their day. How do they feel? What are their busy times, slow times? When are they feeling a need for your solution the most? What makes them happy? What makes them smile during the day? When do they experience joy without condition? What do they wish they could find an answer to? What do they feel the most stressed about, and spend time trying to solve? What problem do they know they have, and continue to search for a solution? The important thing about this process is truly understanding the conversation that is going on inside their head. You don’t want to get stuck in getting them what you think they need. You want to understand what they think they want. Hear the language they use. Feel their struggle. See their frustration. Once you are able to do this, you can truly understand where they are in their process, what they are looking for, and how to provide your solution to help them the most. This will keep you coming from a place of service, sharing your NLP coaching skills with them for their benefit, and making the difference you were put here to make!